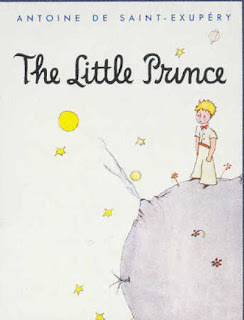 The Broke and the Bookish : Nathan's Take on "The Little Prince"
The Little Prince. This book has a special place in my heart. I bought it when I was about ten years old at a book fair. When I first read the book I am pretty sure I did not understand the real meaning behind that book. Or maybe I did... the point of the book is to show adults how to be a child again. Exupery spins a wonderful tale of a Little Prince who loves a flower for no other reason than the fact that she belongs to him. 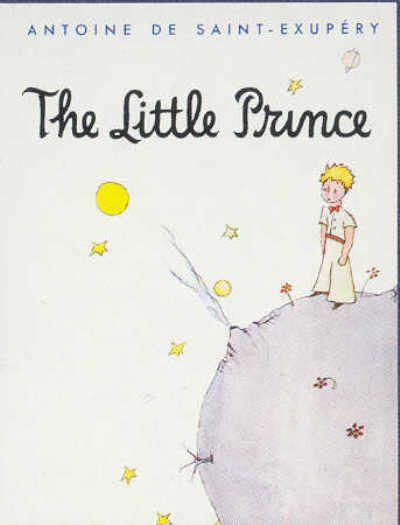 The Little Prince visits many adults during his journey to Earth, most of which are concerned with "matters of consequence". The Little Prince is narrating these visits to a pilot, presumably Exupery, but we are never told who the pilot is. This little book is amazing in all regards. The imagery and lessons that are packed into this novella have had a profound impact on my life. I can only think to tell you to go and read it yourself, as anything more that I say about it will not do it justice, and it will not take very long to finish the book. You will (99% guaranteed) be touched in some way by this intriguing and life-changing book. Fabulously written and presented. I've only read this in French. I didn't like it very much, but I think it's because I read it in French. I need to read the English version, so I can understand the story better and maybe then I'll like it. Yes! It finally got posted! I'm so excited :) I think it would be cool to read it in French... If I knew French... Oh well. Aww I love Le Petit Prince! I read it in french class, but didn't actually understand any of it in french, so I read it in english too. I read this such a long time ago - I can't even remember it. I'm going to have to revisit it! When I was in China, I got this book in the adolescent section of a huge bookstore. Every page had it written on one side in Chinese and the other in English. After a while I got so fed up with my snails pace at reading the Chinese, I flew through the English side just to finish the cute tale! I remember watching the cartoon as a kid, and loving them, so when I read it (in French, but like most others, I understood it) I loved it. I loved the depth and philosophy behind it. This book remains my favourite and has a special place in my heart.